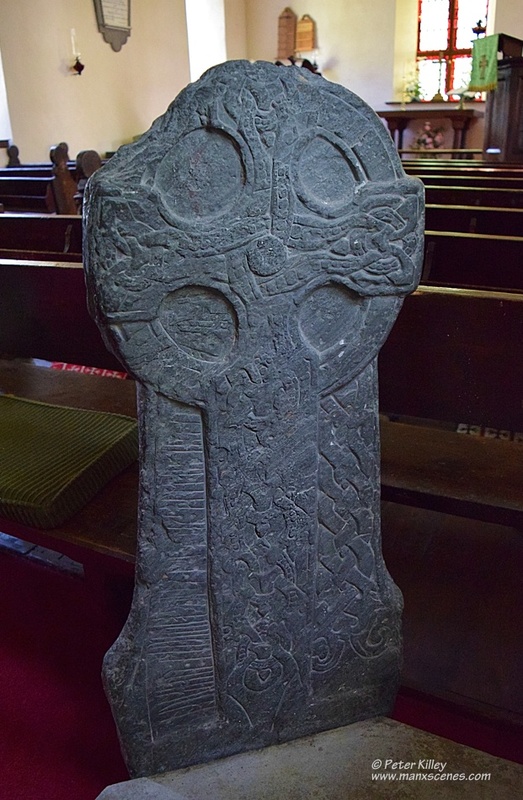 This 10th Century cross-slab was found in the churchyard in 1891 and is the only Runic Cross to be found in Ballaugh to date. The Cross is 4’6″ high and 20″ across the head and the stone is 3″ thick. The cross shows features of the famous sculptor, Gaut and it’s weather worn runes testify that this cross was erected by Olaf Liotulfson in memory of Ulf, his son. This is another lovely cross, and another of our favourites. thanks for posting this picture Peter. Your welcome Eleanor, more of these gems soon.